1 They bought a rebuilt E-60 from us. They wanted us to rebuild their E-57 as a spare, and install the rebuilt E-60. For them to get a 1 YEAR warranty from us, I required them to bring me the plow too, so I could flush the rams. 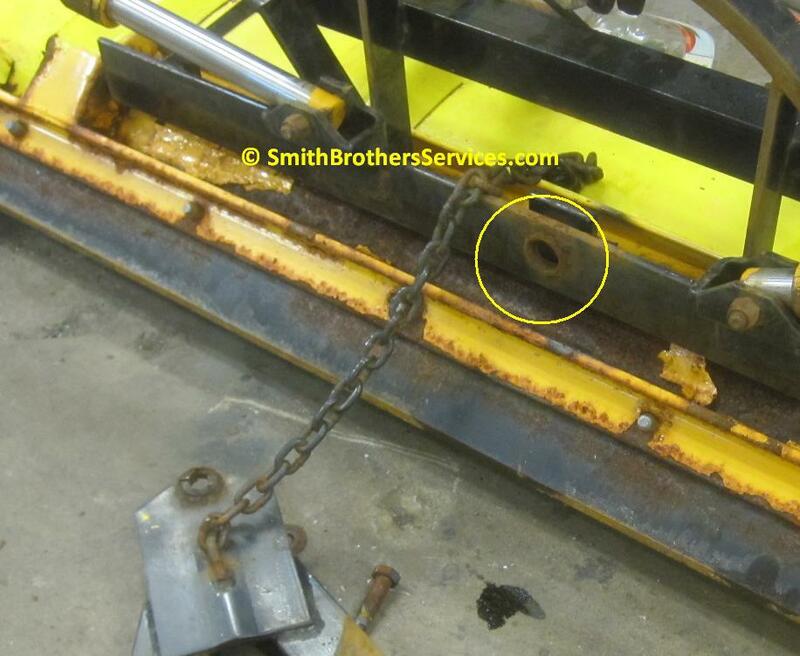 The center pivot on the plow was so sloppy I knew what I was going to find... Cracked bushing on A Frame. The plow is a C-8. 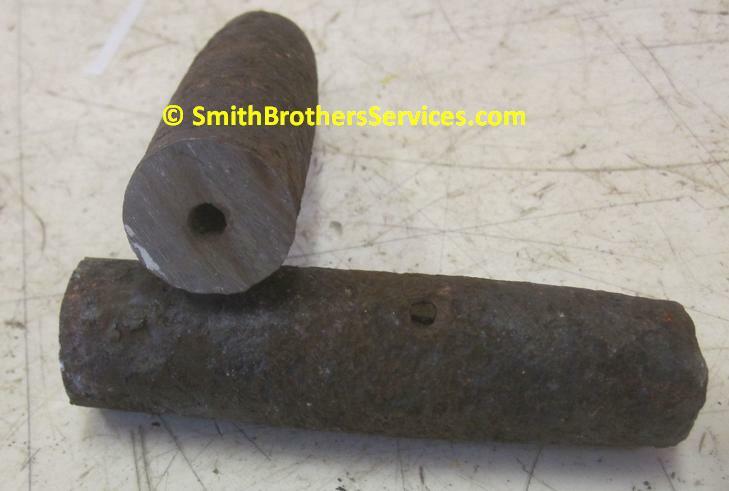 Only one little piece of the bushing left in the Sector, and the hole had A LOT of wear. 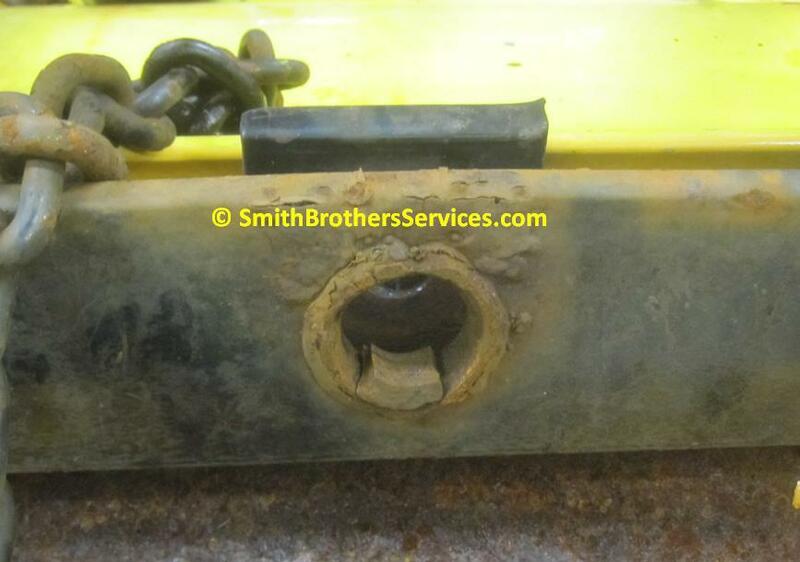 � at Smith Brothers Services LLC. 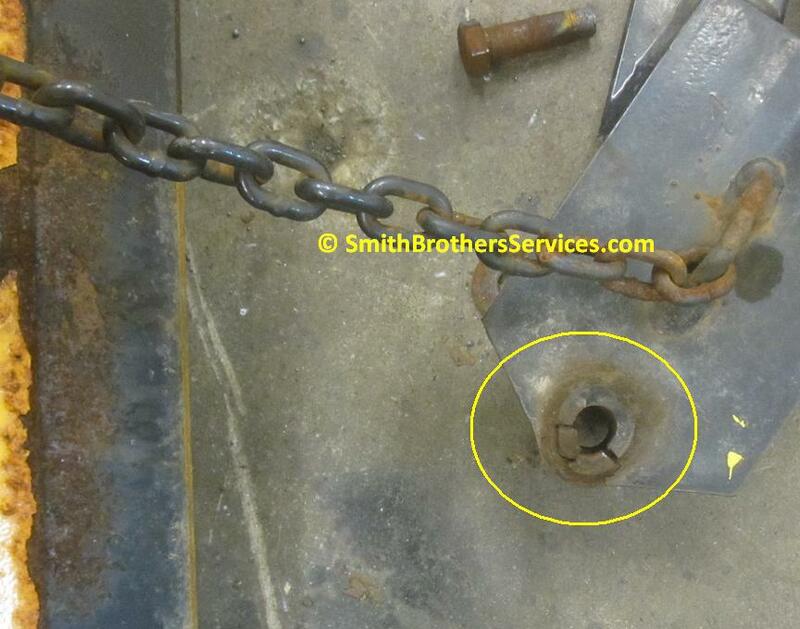 Sector hole worn due to broken Bushing missing pieces. Had to cut off the Trip Spring Eyes, and even the Trip Springs because they were bent, and worn out, so not worth saving. 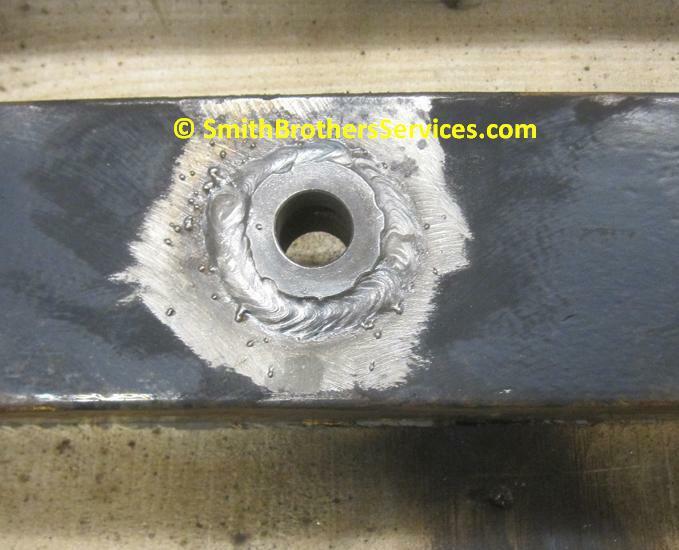 Sector Bushing clamped in place and welded in. 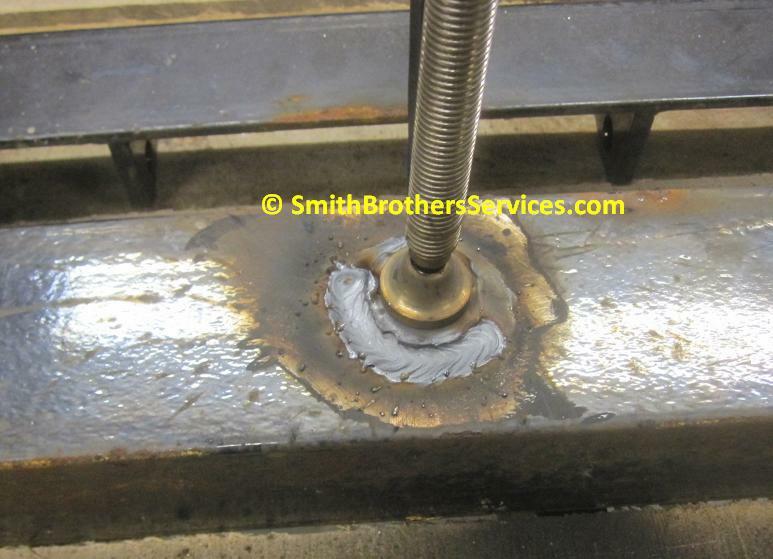 � at Smith Brothers Services LLC. All cleaned up and ready for paint. 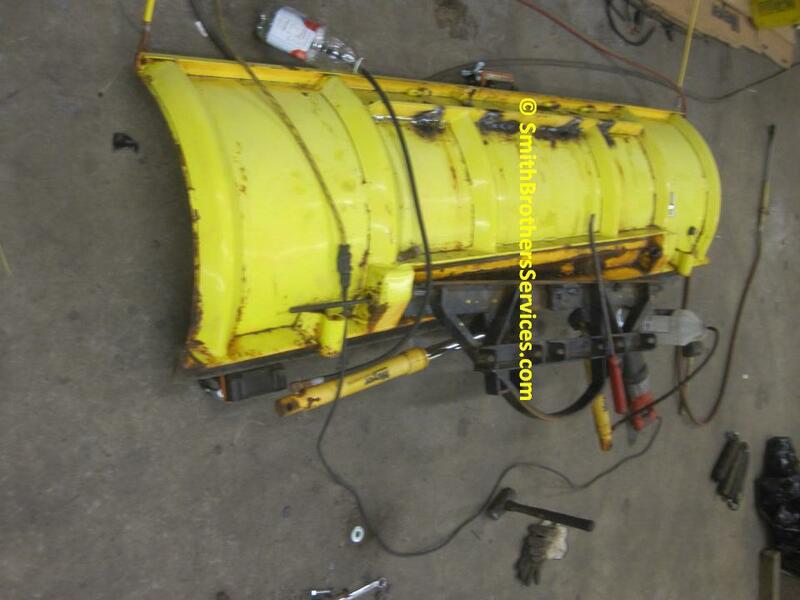 � at Smith Brothers Services LLC. They never knew the Pivot Pins had grease fittings on them. LUCKY for them the pins were moving around A LOT, look at the wear on the ends. After I cut them in half to get the Sector off, they came right out with little coaxing. 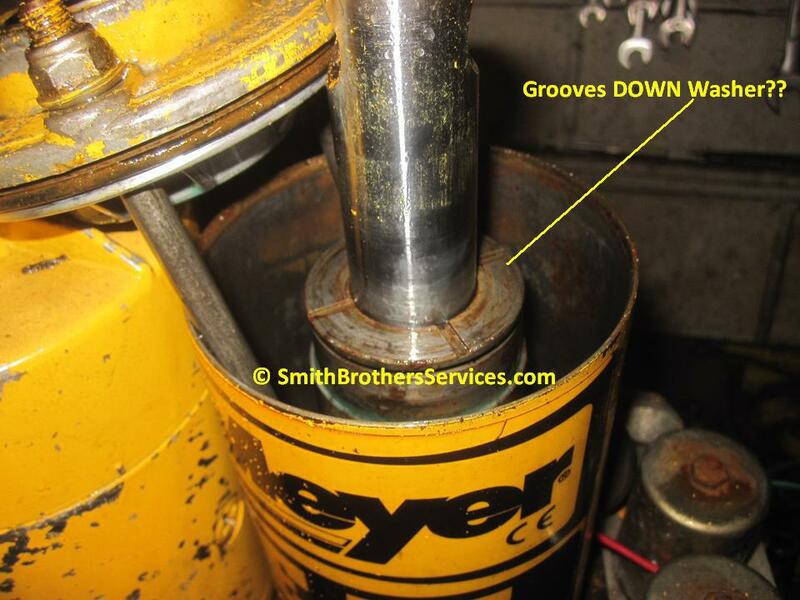 Side view of cut pin showing passageway for grease to travel through. The truck had a Slik Stik in it. I was going to cut the socket off in the cab, and put a Touchpad plug on it. 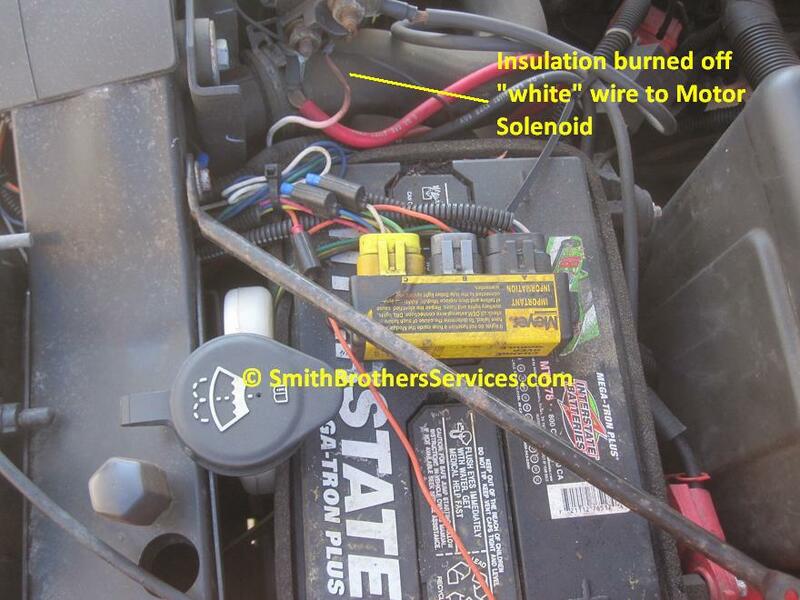 Then I opened the hood and saw where the original installer SECURELY mounted the Headlight Module, and the burned wire at the Motor Solenoid. I have NEVER Seen this wire burned before, AND the plow was still working! 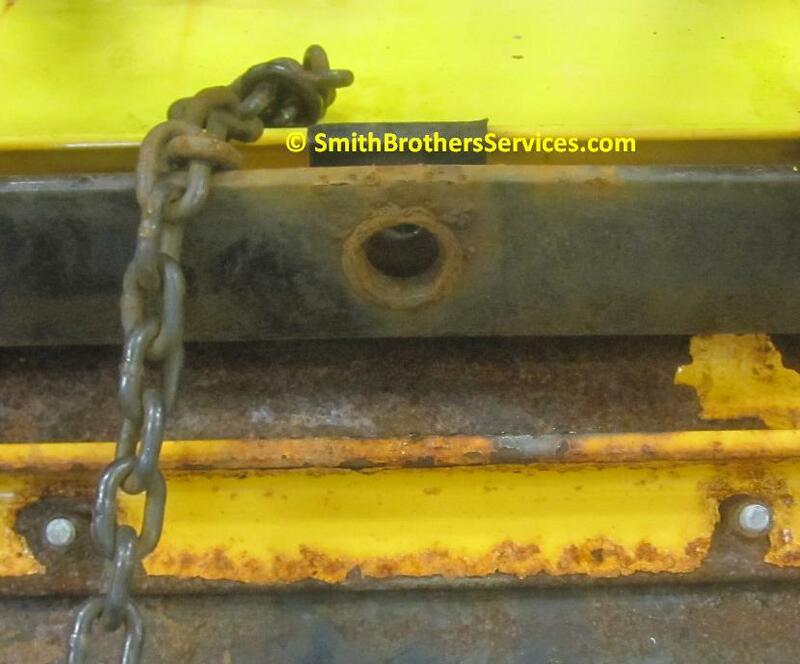 � at Smith Brothers Services LLC.